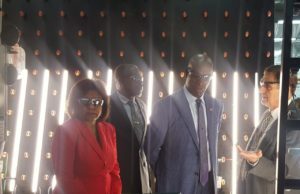 Dr the Honourable Keith Rowley, Prime Minister of Trinidad and Tobago, second from the right, Minister of Housing Major General (ret’d) Edmund Dillon, Minister of Trade and Industry Hon, Paula Gopee-Scoon listen to Domus Windos and Doors CEO, Terrance Ortt on a tour of the state-of-the-art manufacturing facility in Chaguanas. 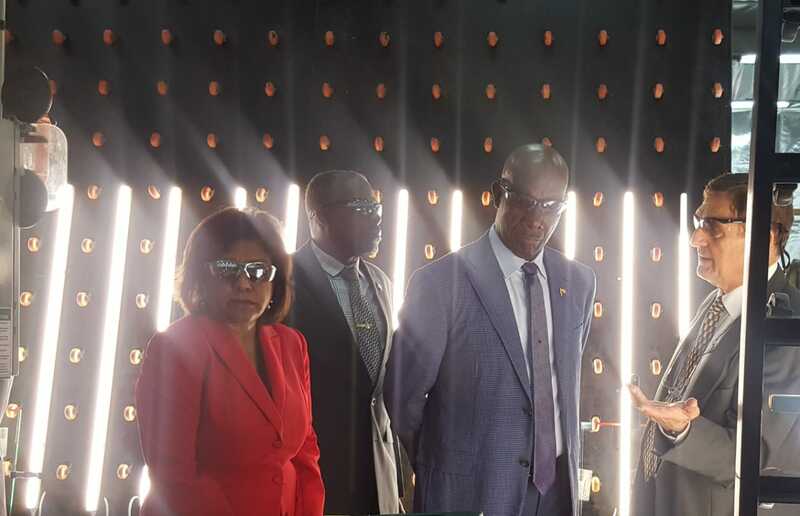 The official opening of a state of the art, integrated manufacturing facility in Chaguanas earlier today (19th February 2019) is a good signal that Trinidad and Tobago is open for business. This according to Prime Minister Dr the Hon. Keith Rowley who made the comment while delivering the feature address at the launch of Domus Windows and Doors Limited facility. 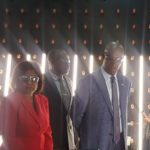 The Prime Minister said Domus chose to do business in Trinidad and Tobago because the company recognises that there are several benefits to investing in this country. Domus has already invested more than TT$55 million in Trinidad and Tobago with its modern, computer integrated manufacturing facility which has created 55 new jobs. InvesTT which has the mandate to attract and grow foreign and local investment played a major role in all stages of the facilitation process of this facility which has introduced new technology into the Trinidad and Tobago manufacturing sector and created both direct and indirect employment.